Great west coast rap you probably didn’t heard. 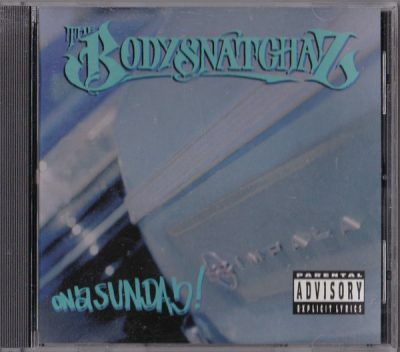 2 comments "The Bodysnatchaz – On A Sunday (CDS) (1996) (320 kbps)"
Silent Ones (or Silent 1z) are: William Berry aka “Prop Tha Sole Survivor” (Bronx, NY), Brian Nelson aka “Path” (Bronx, NY) and Maurice Taylor aka “Mr. Wicious” or “Alawicious” (Brooklyn, NY). Silent Ones started when Prop and Path were in the group “The Bodysnatchers” which relocated to the West Coast in 1994. While out here, they were introduced to Mr. Wicious by their manager, Trekan, who recognized that he was the missing element needed to create a supergroup.